I reviewed Aquitaine on Starburst. 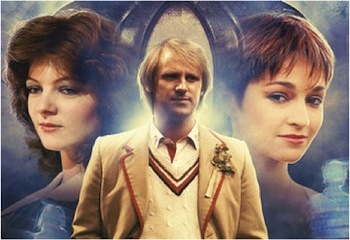 Written by Paul Morris and Simon Barnard, this is a main range story for the Fifth Doctor, Nyssa and Tegan. Rather good it is too! The review is: Aquitaine (Doctor Who). Great review – I really loved this one and had been curious what you thought. For what it’s worth I can’t think the last 10 monthly releases have had a consistency that the monthly range hasn’t had since Charley travelled with the Eighth Doctor and I am really excited for next month’s release. Thanks Aidan – long time no hear. Yes I think a lot of people would agree the main range has really stepped up a notch.